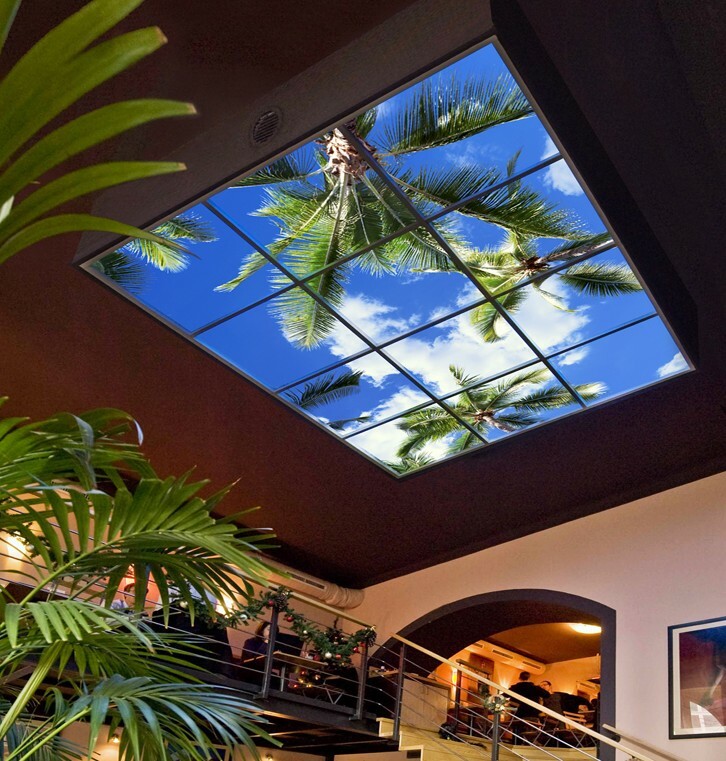 Mood roof is originally designed to create a whole new indoor environment for customers. Many patients in the hospitals are not able to move or walk out of the building to enjoy sunshine and fresh air. 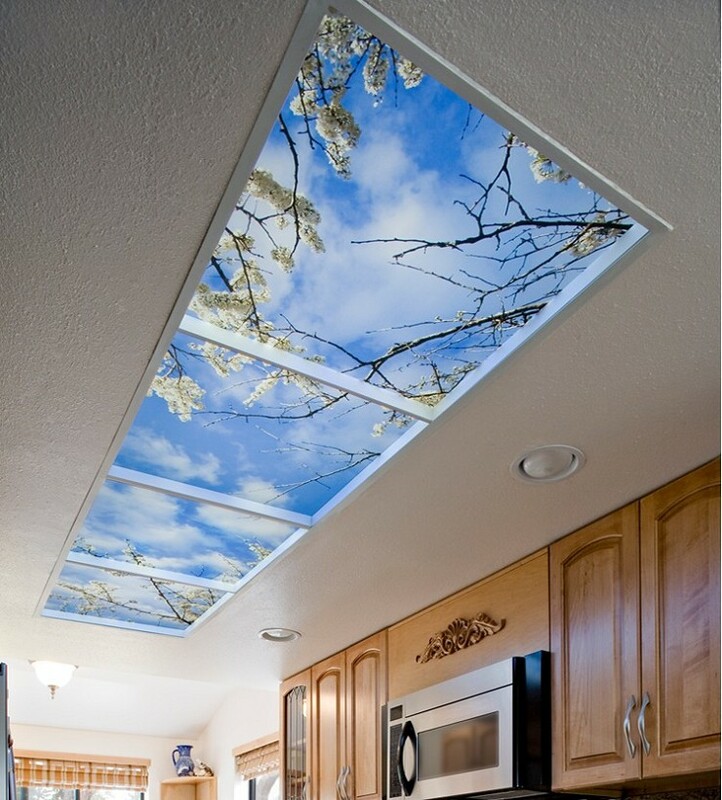 We developed Mood Roof to bring whole different atmosphere to the indoor environment. Mood Roof also successfully change the mind set of patients toward positive moods. 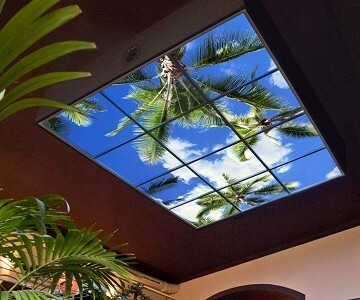 Nowadays, Mood Roof is not only applied in hospitals, but also applied in many retail, office, and many more places in order to create a whole new atmosphere of the environment. Making indoor just as comfortable as outdoor seem to be a trend in the market now, such as shopping malls in Las Vegas. Audience can be Mood Roofed by whole different views to create whole different experience. The greatest thing of Mood Roof is that with so many panels installed, the energy it consumes is extremely low and the maintenance it requires is nearly none for the first five-year usage. 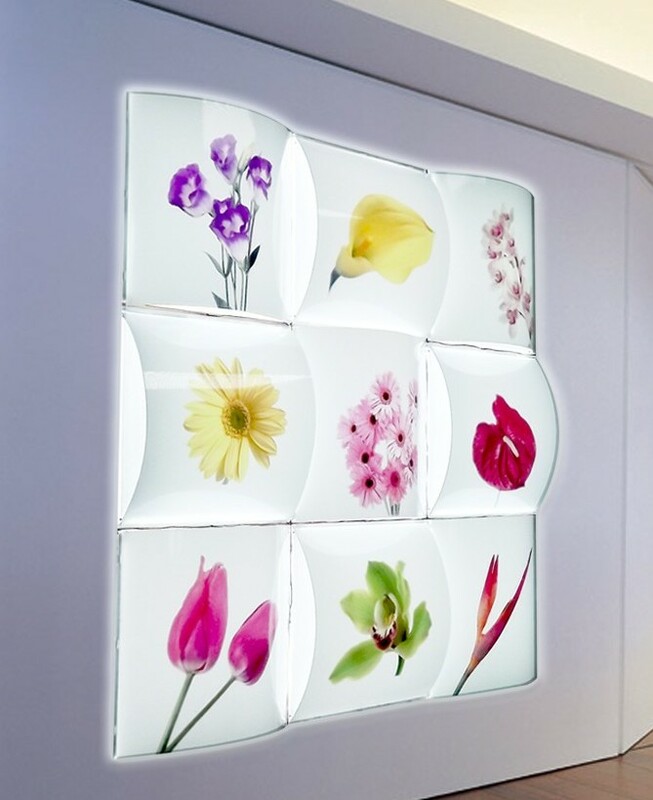 Innovative panel lighting creates whole new different atmosphere of indoor environment. 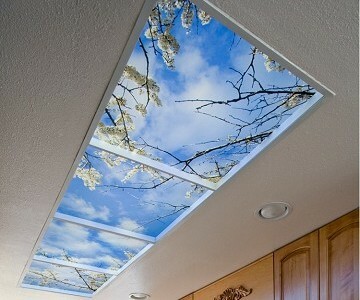 Installation is even easier than regular drop ceiling lighting. 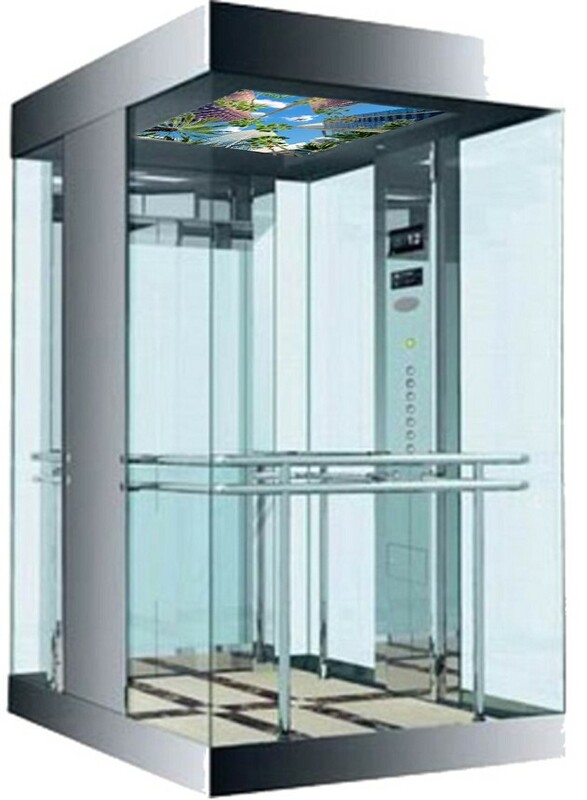 Design your own graphics and replace them within seconds. Say goodbye to fluorescent tubes replacement as our product life usually last over five year. 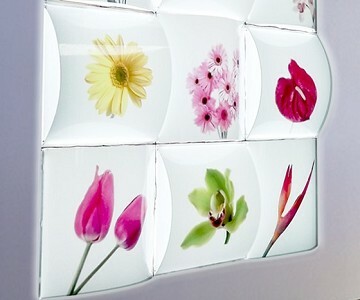 Reducing over 80% compared to fluorescent tubes in energy consumption. 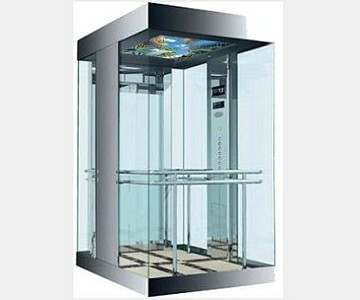 Standard sizes for drop ceiling are 2' x 2' and 2' x 4', but we are also able to deliver customized sizes.